Each can contains seeds, which are pre-planted in a special mineral soil. Simply water and follow directions for tasty hot Cherry peppers any time of the year. 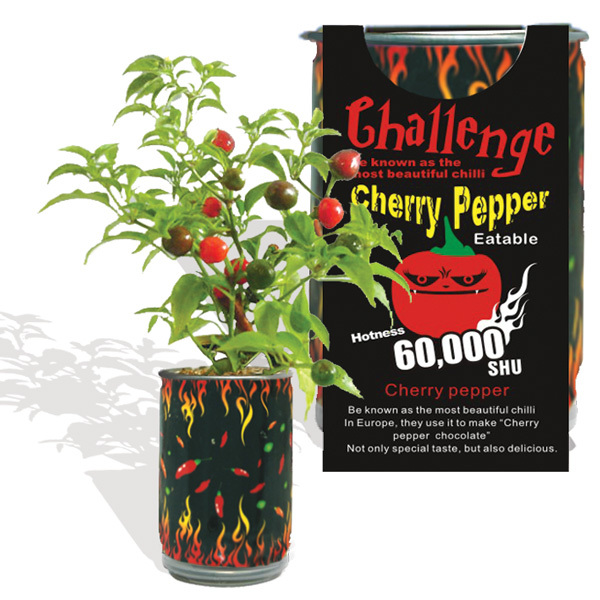 Send fresh Cherry peppers to anywhere in the world with Cherry pepper in a can! Fresh, delicious Cherry pepper vegetables that grow conveniently in a can! Our hot peppers add zest and a magical flavor and a dash of color! In addition, select more vegetables from a tempting array of color, sizes and shapes. 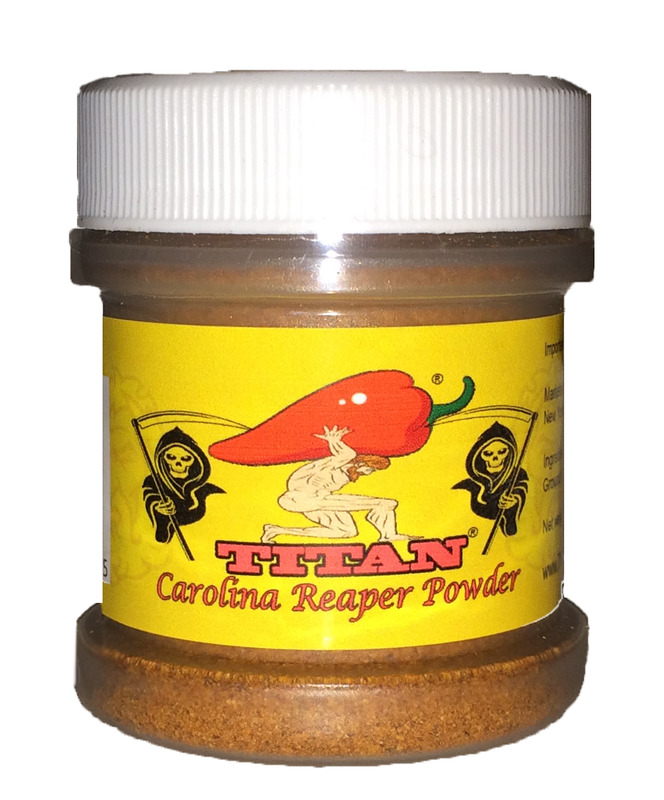 Pick from our tasty selection of hot peppers. These may be planted in a planting pot or in the ground. Or the can may be moved indoors for appreciation. Directions to get started with all Magic Vegetable products: Remove clear plastic cap on bottom of can and view the insert. Open the drainage tab on bottom of can. Open and remove the tab and lid on top of can. Add water until excess water drains from bottom. Important Care Information for all Magic Vegetables: Lack of light and ventilation may cause plant to wilt or grow poorly. Over watering will cause rotting. Water only when surface soil is dry. Ensure adequate light. Exposure to cooler temperatures will slow down the growth rate for an extra 10-14 days. Temperatures need to be 75-95 degrees.